Business economics include the part of economics knowledge which assists the business managers to make appropriate business decisions (Perman and Scouller, 1999). Such business economics theory assists the managers to assess the practical issues that are faced by the commercial organizations. The theory of business theory is in fact a combination of economic theories with the practice of business processes. The aim of business economics is to provide a readily available economic theory that can be brought to use by managers into their business practices. It handles the task of integrating the concepts of economics and economic decision making process in a business origination. 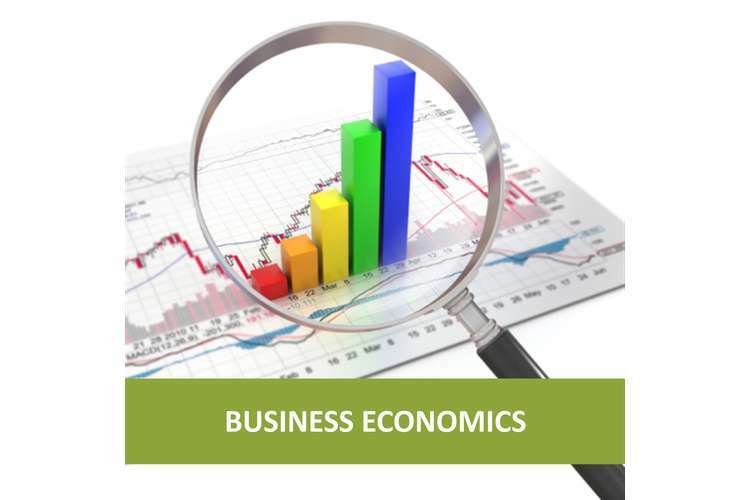 The term business economics is sometimes coined with the other name of managerial economics in the business industries and both terms represent the same category of economics and can be used interchangeably. Many organizational trends show that the term managerial economics is getting more prominent in the industries today. The concepts of business economics are applied into the business models by managers to provide assistance in business decision making process for which reason, the business economics is also called as applied economics. In any business organization, the concept of scarcity represents the knowledge of fact that the resources available to the organization are limited. Due to the concept of scarcity, business managers need to decide the resources it wants to use and the various processes it wants to allocate the resources to (Baye, 2000). This is the business economic concept of having a choice. Should the allocation method of products and service include the concept of peoples’ ability to pay for such products and services? Consumers of the products or services, and the producers of the services both react in a different manner on the changes in the price of products. Increment in prices tends to reduce the demand for the product but increase the motivation behind higher supply of the product by producers, and reduced prices of the products increase the demands of the products while discouraging the companies from producing more supply (Stackelberg et al., 2011). The conceptual theory of business economics suggests that, in any free market scenario, there must be a price tag for a product that would ensure a balance between the supply of the products and the demand for it. This price is defined as the equilibrium price. Both the producers and the customers need the scarce resource which is in possession of the other party hence there is a neutral balance point in this exchange scenario. The equilibrium price for any product is also called the price of market cleaning for that particular product as this is the price at which the total number of products the producer has for sale will be bought by the customers with nothing left to sell. This is the most efficient method of market equilibrium as neither some amount of the product remained unsold, nor a shortage of the product occurred in the market. At equilibrium price, the stock of the product in the market clears effectively and in an efficient manner. This is the basic feature of the business price mechanism and has extremely significant advantages. A market system is a systematic process that enables a different number of market players to bid for different products and ask the demand to be fulfilled. The aim of any market system is to assist the seller and buyer into making negotiation and then finally forming a deal of some kind. The different market systems not only cover the price negotiation process but also include the process of regulating the deals, having credentials, reputation and achieving clearance of the products. The market system eventually works quite similar to a social arrangement (Siegel, 1990). Having different kinds of market systems is essential to the total business economics as it allows the traders ability to sell their product in the approach they seem fit and the same opportunity is available to the customers as well. In the business economics, the basic reality is the scarcity of any available resource and the fact that it is fairly limited in nature. Hence, it is extremely essential to make proper allocation of the various resources in order to achieve optimal use of the resources. With the implication of scarcity in place, business organizations are forced to make choices based on the facts to perform resource allocation. If a resource is used on a product then the same resource would not be available for the next product (Silvia, 2011). For example- every resource the business organization spends on the marketing of its product, is the resource they cannot spend on development phase of the product now. The opportunity costs represent the resourced cost spent in sudden opportunities. The concept is followed by most organization and a fair amount of resources are kept safe for any opportunity that may arise in front of the organization structure. This provides high flexibility to the company economics. For example- a company is developing two products simultaneously, and both of these are making use of same resources. The organization has already allocated all of its resources to both the products in equal share. In such a situation, the company won’t be able to cash in the success of any one product if the other product fails in the market as all the resources have already been used and no opportunity cost was preserved. An elastic variable of a product (having its value of elasticity greater than 1) is a variable which is influenced in a higher proportionality to the change in other economic variables. In contrast, any economic variable having its value of elasticity less than one is called an inelastic variable and it is influenced in less than proportional manner to the change in other variables of economics (Haque, 2005). The elasticity of a particular variable can be different at different points of start. The concept of elasticity in the business organization is one of the most important factors in the neo-traditional business economics concepts. It is highly assisting in developing an understanding of the concepts like practice of indirect taxation, effect of distribution of wealth and marginal concepts of economy. Any commercial business organization runs on the objective of making financial benefit by sales of its products and services. In order to achieve the financial success, the organization rely on concepts of business economics and implement such theories in the business decision making process at the organization. The business operations of any organization are heavily influenced by the objectives of the organization and the pricing of the product offered by the company (Vives, 1999). A business organization decides the pricing of its products based on the objectives set by the company. For example- a company having a fixed financial benefit as its main objective would calculated the amount of products it can produce based on the resources it has available and then the company will price the products at price that is appropriate to gain required revenue to achieve the objective set by the organization. This way the pricing of the product and the organizational objectives set by the company influence the various operations of a company such as resource allocation, decision making process, and opportunity control process. The different market structures are usually defined in four categories- pure monopoly, monopolistic competition, and oligopoly. The market structure highly influence the pricing of the products set by different organizations. Monopolistic Completion: it is a market structure in which the competition to the producers is imperfect, such as different organization sell the products that are in same category but have different characteristic from each other (for example- clothes of different branding), and due to this reason one organization does not provide complete substitute for the products produced by other organizations. In such a market structure, one organization decides its prices based on the prices given by other organizations and neglects the influence of own pricing on the pricing decision making on other organizations (Scherer, 1970). Oligopoly structure: in this kind of market structure, a small group of organizations group together and form a majority in the market. This allows the majority group to have the right to fix prices for products. Monopsony: In this kind of market structure, there is only one buyer of a particular kind of product in the market. The pricing process is highly influenced by the consumer in this market structure. Oligopsony: in such kind of market structure, there are various sellers of a particular product with just a small group of buyers. Buyers have good influence in this kind of market. Monopoly market: In this kind of market structure, there is only one specific provider of the said product. In this market structure, the sole producer is the price deciding entity (Kamien and Schwartz, 1982). Perfect competition: Perfect competition is a theoretical market structure and consist of no barrier to enter the market for organization. It features infinite number of buyers and sellers and thus the pricing of the product follow the demand curve in every way. The decision making process in an organization is highly influenced and affected by the factors like market structure and various operations performed by the organization (Mehallis, 1981). Market structure is the most crucial factor in impacting the behaviour of a firm. For example- In a scenario where the organization producing a particular product is in pure monopoly, the company can allocated its resources based on the knowledge that the pricing can be set by the company along its wishes and the consumers do not have a potential substitute for its services and products. The government enforced regulation on telecom industry in UK are managed by the Office of Communications. The Office of Communications is the sole authority on the communications related regulations in UK. The regulations include the competition and market structure protocols as defined by the Enterprise Act and Competition Act 1998 for the telecom sector. The act disables the BT Company from making agreements that are non-competitive and provides clear guidelines for undertaking of other companies in the same industry (Btplc.com, 2005). Such regulations have deep impact on the operations of BT Plc. and provide a restriction framework on the market power of BT. Due to the fairness in competition clause of UK regulations, BT cannot create a monopoly market structure in the market and must remain completive. In recent several decades, the economy and market structure of UK has changed significantly due to the increased trend of privatization, organizations moving from industrialized to service sector and now technology based organizations. Most industries in UK have now turned into private firms. The advancement in technology and internet has drastically changed the market structure and has allowed the small firms to compete with large organizations by having presence in the online market. Digital economy advancement is changing the way the organizations used to function and now the structure of UK is largely shaped by the firms functioning using the online presence. Based on this trend, the market is moving towards the state of perfect competition but is still far from it. Monetary policy: By means of monetary policies, the government can meet the macro-economic policy objectives. Such tools include interest rate changes, altering the supply of money, and altering the exchange rates. Supply policies: Many supply side policies are developed to ensure the higher efficiency of market. Fiscal policy: This policy includes changing the trends of government expenses and money borrowing, and altering the taxation. The various policies enforced by the UK government to achieve the macro-economic goals have been mostly successful. At present, the UK market structure is considered the most competitive and fruitful for the new organizations as well. The higher competition ensures the benefits awarded to the customers in terms of extra choice in products and services, competitive pricing and higher quality of products and services. The UK competition laws also protect the business organizations from unfair business tactics by rivals or big organizations. Due to these reasons, the UK government’s policies have successfully achieved majority of its macro-economic objectives. The UK economy has been growing efficiently and effectively even in aspects of technologically influenced business industries. The strength of UK economy comes from the fair trade policies of EU (European Union) and the additional UK regulation that control the macro-economic policies as well as industry trends and customer well-being. The balance in UK economy comes from the policy changes controlled by the UK government by means of macro-economic policies. The additional strength in the UK market is derived from the competitive advantages provided to the organizations active in UK. The BRIC economy refers to the collective economy strengths of Brazil, Russia, Indian and China. All of these countries are currently going through the similar advancement in terms of economy on a global scale. All of these countries have gained significant influence in their contribution on the world economy at about same level, while all having different economic policies and organizational models. The UK economy has significant advantage over the economies part of BRIC group due to the additional strength it gains from the collective economic structure of all EU countries. UK functions like a base centre for the EU economy, which is the largest economy in the world. Free trade is the process of having no artificial of regulating barriers enforced by the government to have restriction on the transfer of good between countries. In some companies that can provide more production, the employment rate increases due to free trade. With the free trade in place, it is possible to notice structural employment present for short term. Economies become highly dependent on the global trends of economy. This increases the instability factors. International market does not offer equal completion as some countries can provide cheaper products due to factors like cheap labour (Edge, 2010). It is difficult for new industry to establish itself in the already high competitive market. In the era of organizational internationalization, the emerging economies have influenced the international market trends. Such countries include Brazil, Russia, India, and China. The emerging economies are reducing the market dominance of existing developed economies. While this change in international markets and economy is bringing more stability to the world economy, it may also cause some short-term issues as the already developed economies are making policy changes to retain their market dominance (Marinov and Marinova, 2012). Some of the policy changes are taken in a hurry and may cause more issues than solutions. The big recession of 2008-2013 had its impact on the developed economy of UK as well. Along with the increased cost-cutting methods in UK industries, downsizing became apparent, which in turns increase unemployment. Many of the UK based companies were struggling to keep them afloat in the economic recession generated credit crisis. In the third quarter of year 2007, the occurrence of profit warning grew thick and rapid (Hopkins, 2008). The increase dependency on the international trades and economy bring a certain amount of volatility to the UK economy which ensures that the UK economy is deeply affected by the global recessions. The concepts of business economics are largely implemented in the business organization today. Such concepts affect the various operations in business organizations such as setting price of the products and services, understanding the market structure present, following the supply and demand curve, enhancing the decision making process, and developing the knowledge of elasticity in the economic market. 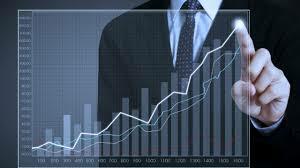 Having understanding of such business economic concepts is essential for the business managers in optimizing the business operations of the company as well as in implementing a more accurate decision making process that influences the pricing of the products produced by the company as well as deciding what products need to be produced. Such concepts also enable managers to make a sound strategy to develop resource allocation plans. Btplc.com, (2005). Regulation in the UK. [Online] Available at: http://www.btplc.com/Thegroup/RegulatoryandPublicaffairs/RegulationsintheUK/index.htm [Accessed 4 May 2015]. Edge, K. (2010). Free trade and protection: advantages and disadvantages of free trade. [Online] Hsc.csu.edu.au. Available at: http://www.hsc.csu.edu.au/economics/global_economy/tut7/Tutorial7.html [Accessed 4 May 2015]. Haque, M. (2005). Income elasticity and economic development. Dordrecht: Springer.